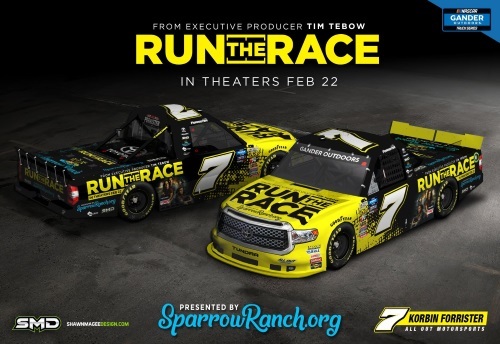 Los Angeles, CA (February 11, 2019) – Executive produced by former NFL star and Heisman Trophy winner Tim Tebow and brother Robby Tebow, inspirational family film RUN THE RACE is the primary sponsor of Korbin Forrister and his #7 Toyota Tundra at the NASCAR Gander Outdoors Truck Series season opener NextEra 250 at Daytona International Speedway on Feb. 15, 2019. RUN THE RACE star Tanner Stine and the film’s director Chris Dowling are available for interviews and photo ops Feb. 14-17. 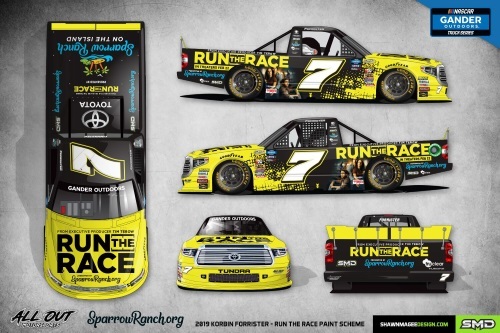 Forrister’s #7 Toyota Tundra will be wrapped with graphics promoting the film. 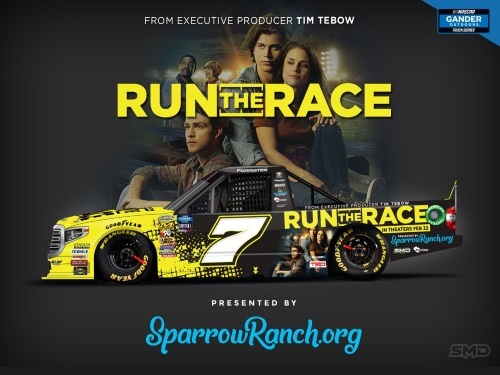 This special paint scheme is presented by Sparrow Ranch on the Island in partnership with film distributor Roadside Attractions, All Out Motorsports and SMD Racing who designed the paint scheme. RUN THE RACE tells the story of what two desperate brothers sacrifice today for a better tomorrow. Reeling from his mother’s death and his father’s abandonment, Zach, an All-State athlete, finds glory on the football field, working to earn a college scholarship and the brothers’ ticket out of town. When a devastating injury puts Zach—and his dreams—on the sidelines, David laces up his track cleats to salvage their future and point Zach toward hope. RUN THE RACE is rated PG and opens in theatres nationwide on Feb. 22, 2019. Go to www.RunTheRaceMovie.com to watch the trailer and find a theatre near you. Since its founding in 2003, ROADSIDE ATTRACTIONS films have grossed over $300M and garnered 19 Academy Award® nominations. Roadside Attractions released the No. 1 independent film of 2018, the faith-based I Can Only Imagine, which grossed $83.5M. The company has released such critical and commercial hits as Manchester by the Sea, Beatriz at Dinner, Stronger, Love & Friendship, Hello My Name is Doris, Mr. Holmes, Love & Mercy, A Most Wanted Man, Dear White People, The Skeleton Twins, All Is Lost, Mud, Winter’s Bone, The Cove, Arbitrage, Margin Call and Super-Size Me. Its upcoming slate includes the highly-anticipated Judy Garland biopic Judy, starring Academy Award® winner Renee Zellweger; Todd Robinson’s The Last Full Measure, featuring an all-star cast led by Sebastian Stan, Academy Award® winner Christopher Plummer, Academy Award® winner William Hurt, Academy Award® nominee Samuel L. Jackson, Academy Award® nominee Ed Harris, Academy Award® nominee Peter Fonda, Academy Award® nominee Diane Ladd, Academy Award® nominee Amy Madigan, Jeremy Irvine, and Golden Globe® nominee Bradley Whitford; and Run The Race, a faith based drama from executive producers Tim Tebow and Robby Tebow, starring Mykelti Williamson, Frances Fisher, Tanner Stine, Evan Hofer, Mario Van Peebles and Heisman Trophy winner Eddie George. Korbin Forrister, driver of the No. 7 Toyota Tundra competes in the NASCAR Gander Outdoors Truck Series for the team All Out Motorsports, owned by his parents, Ken and Karen Forrister. SMD Racing is the motorsports identity of North Canton, Ohio based design firm Shawn Magee Design. 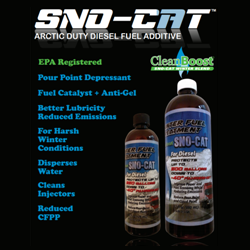 SMD is a former primary sponsor in the NASCAR Gander Outdoors Truck Series. 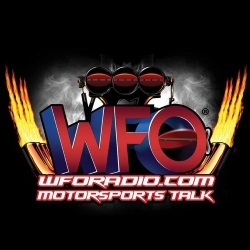 From custom logos to NASCAR paint scheme design, you will find SMD’s work in all three branches of NASCAR’s premier racing sanctions.